At the start of the New Year, many of us are focused on looking forward and making resolutions for the coming year. One traditional Jewish New Year celebration, which begins with Rosh Hashanah, involves both celebration and reflection. It is a time for evaluation of one’s actions and motives over the past year and responding with repentance and regret for wrongdoing, prayer and making amends. It also involves making a goal to try to do better in the New Year. 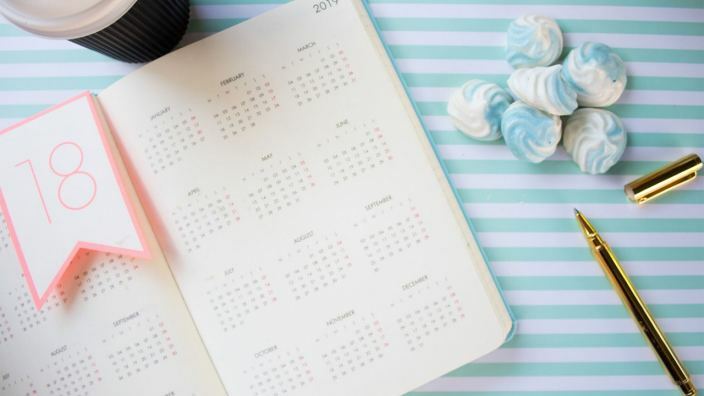 Though Rosh Hashanah does not line up with Jan. 1 when many of us celebrate the New Year, we can still learn from it and apply its wisdom to our New Year’s celebrations. This year, try thinking about the past year before you make your resolutions for the new one. This reflection guide can help you get started. Each section has links to resources to help you if you want to explore that area more. Did you feel happy about your family life and relationships? Is there something you can do to improve on those relationships? Where are you compared to where you were last year? How have you grown spiritually? What ways do you want to grow spiritually in the coming year? How can you take steps to grow spiritually this year? If not, how can you seek purpose in the New Year? Have you asked God to help you understand your purpose? Have you been living in a way that reflects that purpose or your life goals over the last 12 months? Were you stressed a lot in the past year? What can you do to deal with ongoing stress differently this year? How was your mental health this past year? If you have struggled, are there people who you can talk to about it? Have you considered seeking professional help in this area? How was your physical health this past year? Are you where you want to be in this area? What are small steps you can take to take better care of yourself? Were you satisfied with your work this past year? If you don’t have a 9-to-5 job, are you spending your time on things you value? Is there anything you feel you need to or want to change about what you are spending your time on or your career? Use your reflections as a guide for what areas are most important to grow in this year. Brainstorm one to two resolutions from each area, then choose your top three. If you accomplish those, you can always move on to the others! When you make your resolutions, make sure they are specific things that you can measure. For example, “Learn more about Jesus” is too general. “Read the Book of John from the Bible” is something specific that you can measure (you read it, or you don’t). What are your hopes for the new year? What will it take to make them happen? Set your goals, then look for the right path forward.